Ok, so here’s how the story goes: I’ve been making music with these guys for 5 years now. We started by throwing this party together called Mixtape Riot! in NYC. DJO and I did live remixes with 4 turntables while UTK would host the whole thing and we’d rap a little back and forth. We brought guests in each time. People like Santigold, Spankrock, Ninjasonik, Jasmine Solano, Ladybug Mecca, Trouble Andrew, Bahamadia and a ton of other artists came on stage with us and helped make the party dope. Then on our first trip to Europe, where we were asked to bring our Mixtape Riot! party- we became a band- The Beatards were born. We wrote our first song together driving on a bus from Norway to Sweden. Fast forward through multiple mixtapes, an EP, and countless shows in front of crowds all over the country where we’ve shared the stage with Kid Cudi, Mike Posner, LMFAO, Shwayze, Lady Sov and many many more. An album gets made. That album gets tossed around between different possible record labels who toy with the idea of releasing it, and we wait patiently for nothing to happen. While the album, “I’m The DJ” will finally drop at the end of this Summer, we got impatient so we went ahead and asked cool producers we know and friends we’ve made along the way, to help us with some remixes. That’s where this EP comes from. Available now, for free. There’s a mix of styles on here- Moombahton, Dubstep, Trunkstep, 2-Step, Electro and BASS, mixed with overall goodtime vibe that we always try to bring in whatever we do. In case you missed it, there was a pretty awesome Jet Pack video that used one of our songs in the not so distant past. You can find more info on each of the producers if you check the individual songs on soundcloud. Man! I just love Get Lite. Ev’ry version. Congrats on the remix EP! Gonna check this out right now. Mixtape Riot acknowledges that the majority of its content comes from copyrighted and protected sources. 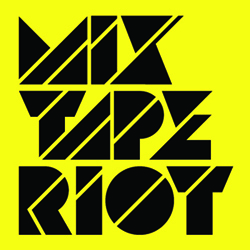 Mixtape Riot exists to promote the artists on its pages. If for any reason there is an issue with posted content, please contact us immediately and the content will be removed from the site.